The release includes a list of five writers and three producers attached to an Amazing Spider-Man "franchise brain trust" that will produce an unknown number of spinoff films, linking them all under a shared cinematic universe Avengers-style. The Venom film had been stuck in preproduction limbo since the theatrical release of Sam Raimi's Spider-Man 3, the final film in the defunct Raimi trilogy. Included in the list is Avi Arad, the Raimi trilogy veteran producer and all-around Spider-Man film go-to guy. Further details on the two announced spinoffs have yet to be revealed, but the release notes that the Sinister Six film will focus on the villains. If you've been following my articles, then I probably don't need to express my sheer excitement over the Venom movie news—nor my undivided focus on the topic (sorry, Sinister Six). I couldn't fall asleep for an hour last night when I heard the news. I was nearly bouncing off the walls! Yet along with the excitement comes the utter dread, too. We Venomaniacs were scorned with Spider-Man 3's depiction of the Lethal Protector. For a while, I feared DeHaan/Osborne would follow his cartoon counterpart from Marvel's Ultimate Spider-Man and don the alien costume, due to a series of tweeted photos from Marc Webb's Twitter account. This is precisely how most Venomaniacs want the Venom film to look like. Now that the recent Amazing Spider-Man 2 trailer practically confirms Harry becoming the Green Goblin, another candidate fills his place to disrupt the natural (comic book continuity) order of Venom hosts. Since his debut back in 2011, Eugene "Flash" Thompson, a.k.a. 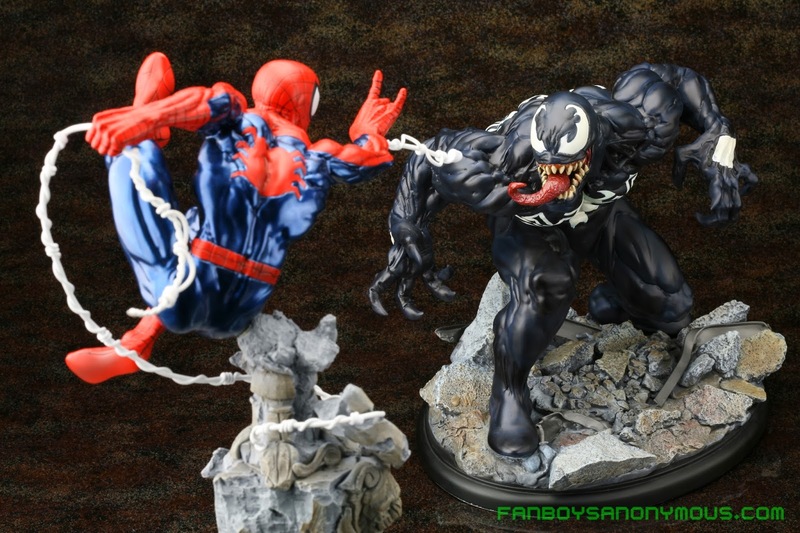 Agent Venom—the Secret Avenger, Thunderbolt, and newest Guardian of the Galaxy—has risen in popularity enough to threaten Eddie Brock's, the first Venom's, rightful place in the limelight. Eddie has long suffered manhandling and abuse in comics and outright omission from the aforementioned cartoon series. If his mistreatment in Spider-Man 3 placed him in the no-fly list for his solo film debut, the Venom spin-off will turn out to be a bittersweet deal for loyal Brock fans such as myself. Considering Arad's comment a year ago about the Venom film being an Eddie Brock story, however, I can only hope that comment still holds ground. Knowing that the Venom film will tie into the Amazing Spider-Man films, the big question remains: what will be the alien costume's origin? The new Spider-Man franchise is borrowing a lot of influence from Brian Michael Bendis and Mark Bagley's famed Ultimate Spider-Man comic book series in regard to Peter Parker's secret history being connected to his powers, the overarching antagonistic presence of Oscorp throughout the franchise, and several of the characters'—both villainous and the supporting cast—designs. Perhaps the Venom symbiote will receive a Ultimate-esque film treatment as well: in Ultimate Spider-Man, the suit wasn't extraterrestrial, but artificial. The Venom suit was developed by Peter and Eddie's fathers before they died as a cure for cancer, but it ended up developing some major flaws. As much as many fans pine about Ultimate Venom, I would love to see him adapted into film to keep up with the ongoing theme of Oscorp experimentation gone horribly wrong. I have a lot of high hopes for the Venom film. 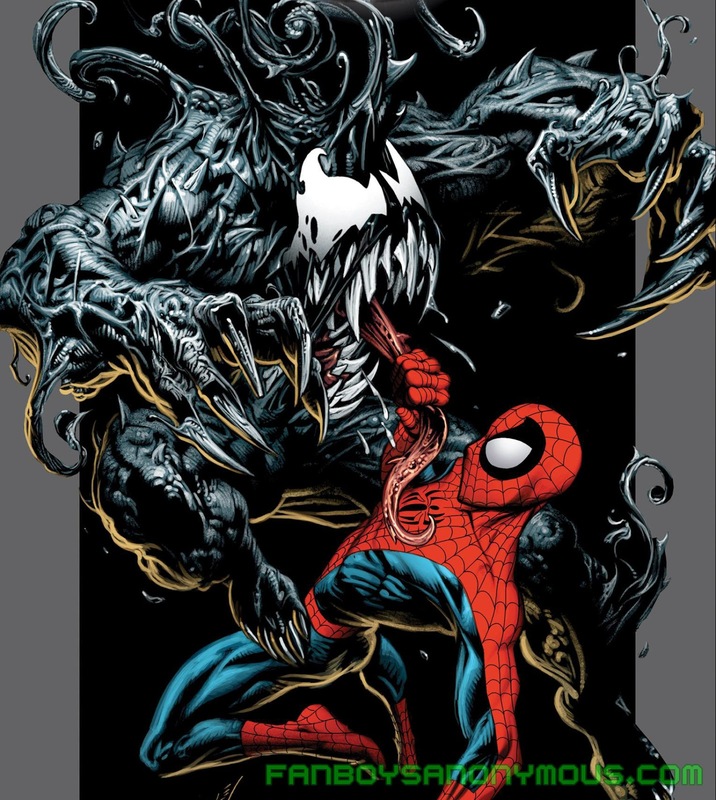 I really wish we get the movie and character we deserve, especially the Venom design we deserve (that is, one that's closer to Venom's classic design in the comics, either influenced by Todd McFarlane or Bagley). One of the most exciting prospects aside from the film itself is its commercialization, i.e. the comics, toys, video games, and merch. Oh, the merch; the merry, merry merch! HUNGERRR…FEEEEEEEED! Ahem, sorry about that. Fanboys and Fangirls! 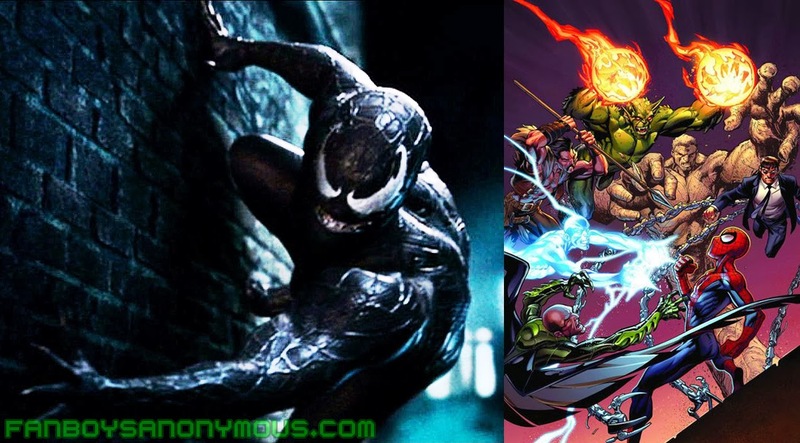 Are you pumped for the Venom and Sinister Six films? Who are your fancasts? What characters would you like to see the Lethal Protector face off against? Drop a note in the comments section below!